Brussels – EU Companies are being asked to crack down on fake goods under proposals unveiled on Wednesday by the European Commission. The crackdown is amid estimates that 101 billion dollars worth of counterfeit or pirated products enter the European Union annually. Counterfeiting accounts for 2.5 per cent of global trade, according to a 2016 study by the Organisation for Economic Co-operation and Development. 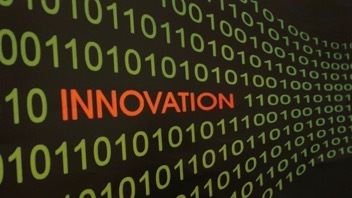 The commission, the EU’s executive, warned that small innovative companies were particularly at risk. Among other things, the commission is working with industry to cut advertising revenue for websites offering counterfeit goods, restrict their access to payment services and encourage transport firms not to handle fake goods. These measures can take effect more rapidly than legal action, the commission argues. It has also provided new guidance on existing EU laws to protect intellectual property rights, with a view to ensuring that all member states apply them equally. 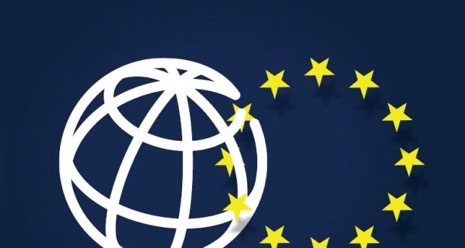 Sectors relying heavily on intellectual property account for 42 per cent of the EU’s gross domestic product and generate 38 per cent of jobs, the commission said. The answer from us is: Validactor is here to help! Fake goods are dramatically permeating any consumer market regardless of type and area, fake goods ara becoming more and more undistinguishable from the real ones and this is the reason why serialization is the ONLY secure solution to clearly identify original goods. On 21-23 November Validactor participated at the Italian Innovation Days in Singapore to meet with prospect ASEAN and Chinese Distributors. The Italian Innovation days held at The Fullerton Hotel in Singapore, has been organised by The Italian Trade Agency with the aim of strengthening initiatives to promote advanced technologies, research and innovation in foreign markets. 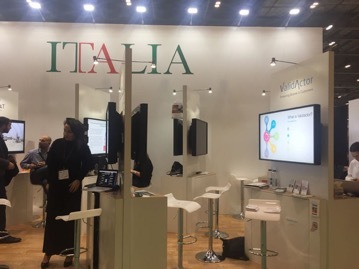 "We at Validactor thank ITA - The Italian Trade Agency - for inviting us to participate and have the possibility to meet several prospect distributors for the ASEAN area and Mainland China" Said Dino Sergiano, Company strategist and Growth Manager. "China and South East Asia are key markets for anti-counterfeit solutions to be implemented with easiness and security. The immense market opportunity offered by approximately 1.8 billion customers is second to none in the entire world. 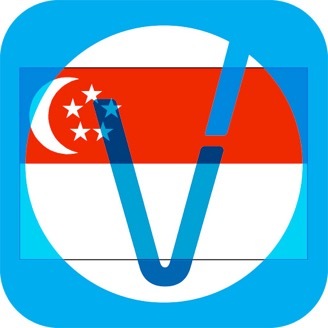 Validactor considers these markets as priority #1 and looks forward formalizing in a short timeframe distribution agreements with the companies that will be able to better serve customers in such areas" Continued Mr. Sergiano, "we are confident that we will be operative in the region quite soon"
A special thank goes to the entire team of ITA Singapore and to its Manager Mr. Leonardo Radicati and to the Italian Ambassador in Singapore Mr. Raffaele Langella who invited the entire mission to a 100 %Italian banquet at his personal residence. 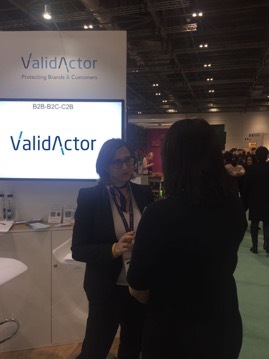 "On November 21-23 Validactor took part at the Food Matters Live 2017 Exhibition in London with more than 800 organisations - from global multinational companies to young and emerging enterprises. The event's programme offered 100 free-to-attend conference and seminar sessions. 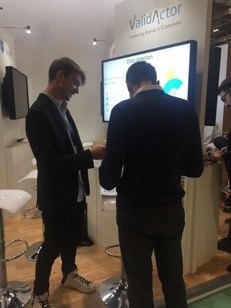 Validactor once again confirmed its massive impact on the huge amount of visitors and business operators for its distinctive and innovative approach to the product quality assessment and brand protection." Said Mariella Profeta CEO of Validactor SRL, "Validactor appears to be the only reliable and secure anti-counterfeit platform that includes Customer Profiling, Recall Management, Product Flagging and Diversions and much more along with intuitive and easy to implement features into a single platform" continued Mrs. Profeta. We would like to thank ICE and ITA - The Italian Trade Agency - that invites Validactor to a number of events worldwide as it recognises Validactor as a real market and technology innovator. …. and the counterfeiters are on the rise. 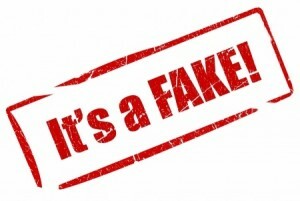 This is the period of the year when fakers and counterfeiters are highly active. As shoppers swarm stores and shop online for the best deals and the holiday shopping season officially kicks off this weekend, retailers and brands are looking to post their highest sales volumes of the year. But it is also a peak time for sales of counterfeit goods, which is a $600 billion global market, according to the World Trademark Review. And according to law enforcement officials and brand protection firms, designer handbags and watches are some of the most counterfeited goods offered in the market. While watches and handbags are considered the most counterfeited items, intellectual property thieves will counterfeit any product that can be sold or marketed. 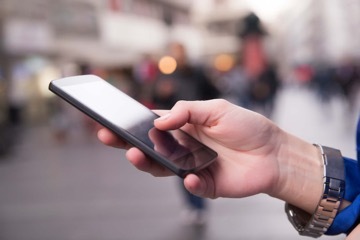 Some of those trends include counterfeit drugs, medical equipment, aircraft and automobile parts, computer hardware, military components, and electrical safety devices. Food and Drinks are also highly counterfeited. 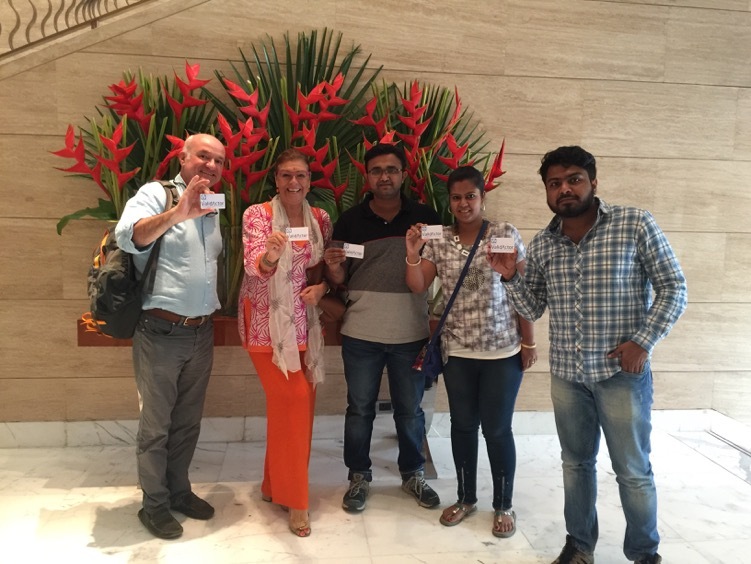 The 3 days roadshow in NewDelhi and Agra has been a success. Dozens of manufacturing companies from different sectors have had the possibility to see how Validactor can protect their productions and the benefits they can gain. 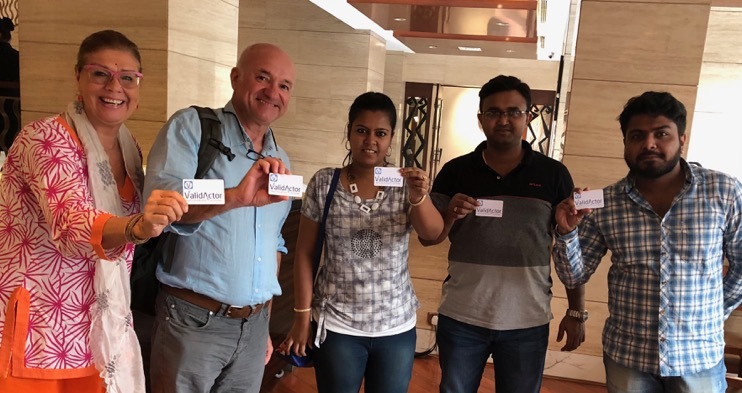 Special thanks go to part of the Kolkata development team of www.websofttechs.com who joined us to support the demo sessions: Ranita, Pratyay and Dibyendu: THANK YOU! Our next roadshow will be in Singapore from the 21st to the 23rd of November and in London at the FoodMattersLive 2017 on the same dates. Join us to know more about the innovative Anticonterfeiting and Customer Profiling Tool that is making the manufacturing world re-think their current strategies. Join us in Singapore at the Italian Innovation Days to discover the innovative set of services offered by Validactor. Validactor will be in Singapore on 21-23 November. Send a mail to info[at]validactor.com to book a seat for a presentation and demo. As Validactor is now launching worldwide, there is no better place in the world to be at the doors of the most rampant and fast growing economies. Validactor will be presenting its innovative platform in London (Nov 21-23) at the "food matters live 2017" within the Italian Innovation Area. - BigData management" said Mariella Profeta, Founder and CEO of Validactor. "Validactor is currently launching worldwide and soon products on sale will start displaying the Validactor VACode, the key to access the wide range of features we offer, some of them are totally innovative such as a totally new - never seen before - customer rewarding feature. So stay tuned on Validactor" Added Mrs. Profeta. Food Matters Live is the UK's only cross-sector event bringing together the food and drink industry, retailers, foodservice providers, government and those working in nutrition, to enable collaboration and innovation to support a sustainable food landscape for the future. Special events including Match, Meet the Buyer, the Food Matters Live Awards ceremony and the Free From Eating Out Awards. Thousands of visitors from a range of professions and disciplines, including food science and manufacturing, R&D, food marketing and brand management, retailing, nutrition and public health.